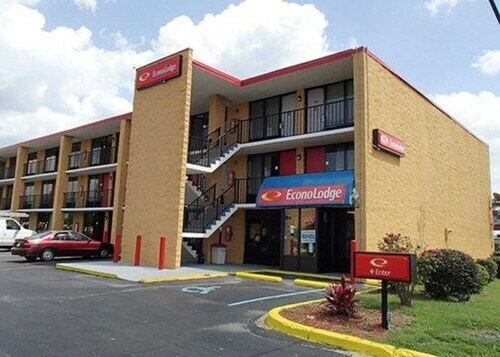 Situated in Charlotte, this motel is 2.6 mi (4.2 km) from Carolinas Aviation Museum and within 6 mi (10 km) of Bank of America Stadium and Charlotte Convention Center. Billy Graham Library and NASCAR Hall of Fame are also within 6 mi (10 km). Situated in the business district, this hotel is 1.1 mi (1.7 km) from Giordana Velodrome and within 3 mi (5 km) of Novant Health BMX Supercross Track and Cherry Park. Manchester Meadows Park and Piedmont Medical Center Trailhead are also within 3 mi (5 km). 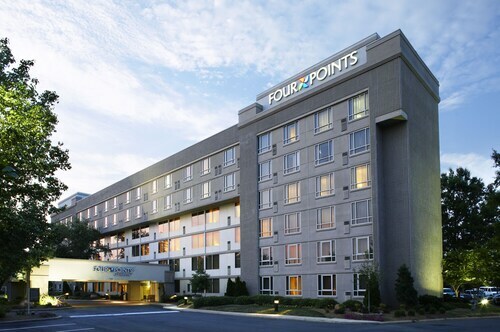 Located in the heart of Charlotte, this hotel is 2.6 mi (4.1 km) from Carolinas Aviation Museum and within 6 mi (10 km) of Bank of America Stadium and Charlotte Convention Center. Billy Graham Library and NASCAR Hall of Fame are also within 6 mi (10 km). 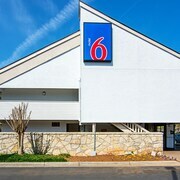 Situated near the airport, this hotel is within 3 mi (5 km) of Billy Graham Library, Charlotte Regional Farmers Market, and York Road Community Park. Renaissance Park and United States Citizenship and Immigration Services office are also within 3 mi (5 km). Woodlawn Station is only a 3-minute walk and Scaleybark Station is 21 minutes. 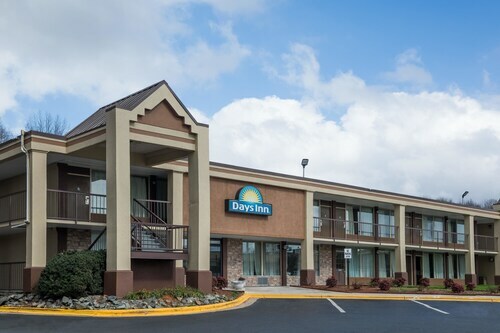 Located in Arrowood, this hotel is 2.8 mi (4.5 km) from United States Citizenship and Immigration Services office and within 6 mi (10 km) of Carowinds Theme Park and Billy Graham Library. York Road Community Park and Renaissance Park are also within 6 mi (10 km). 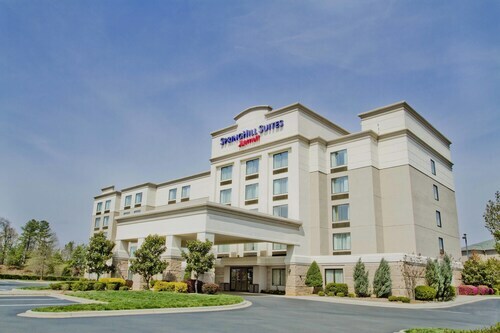 Situated in Charlotte, this hotel is 2.8 mi (4.5 km) from United States Citizenship and Immigration Services office and within 6 mi (10 km) of Carowinds Theme Park and Billy Graham Library. York Road Community Park and Renaissance Park are also within 6 mi (10 km). 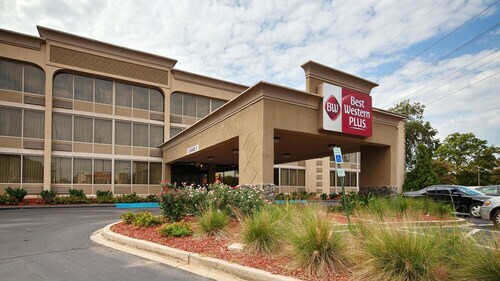 Situated in the suburbs, this hotel is 1.9 mi (3.1 km) from Billy Graham Library and within 6 mi (10 km) of SouthPark Mall and Carolinas Aviation Museum. Bank of America Stadium and Spectrum Center are also within 9 mi (15 km). Woodlawn Station is only a 3-minute walk and Scaleybark Station is 21 minutes. Situated near the airport, this hotel is within 9 mi (15 km) of Charlotte Premium Outlets, Bank of America Stadium, and Spectrum Center. EpiCentre and Carowinds Theme Park are also within 9 mi (15 km). You'll feel the excitement build as Queen City and Concord Regional Airport (USA) finally appear through the plane's windows. Welcome to Charlotte! There's nowhere to sleep at the airport unless you like the idea of contorting your limbs between uncomfortable armrests. But don't panic, as you'll find several hotels a short commute away. Featuring 24-hour room service, kick back and relax at the Embassy Suites by Hilton Charlotte-Concord-Golf Resort & Spa, just 2 miles (3 kilometers) away. You might also like to have a look at the deals at the Great Wolf Lodge Concord Charlotte, 2 miles (3 kilometers) from the terminal. If you're on the hunt for a convenient place to spend a night or two around Concord Regional Airport, head for University Place. Sitting 6 miles (10 kilometers) away, this neighborhood offers a range of accommodation solutions, such as the Hilton Charlotte University Place and the Residence Inn by Marriott Charlotte University Research Park. Wandering around in between flights can be quite boring. Why don't you make use of this time and explore the University of North Carolina at Charlotte, a mere 6 miles (10 kilometers) from the airport? Inject a little more adventure into your life! 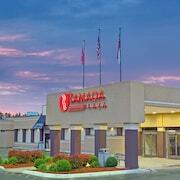 Securing your Concord Regional Airport hotel is just a few clicks away. Staff was very friendly and rooms were very quiet. There were many close restaurants to choose from. Very nice room and bed very comfortable. I will highly recommend. Furnished, All Util Incl Corporate/short Term 4 Bdrm Home/great School!